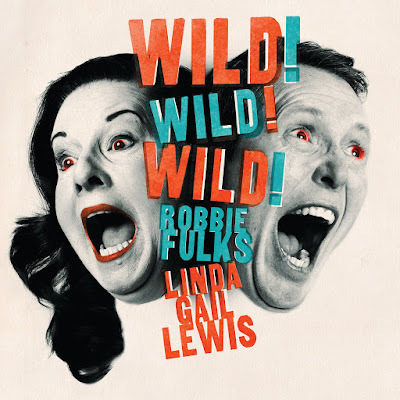 Discussions Magazine Music Blog: AMPED™ FEATURED ALBUM OF THE WEEK: ROBBIE FULKS & LINDA GAIL LEWIS/WILD! WILD! WILD! AMPED™ FEATURED ALBUM OF THE WEEK: ROBBIE FULKS & LINDA GAIL LEWIS/WILD! WILD! WILD! Why on earth didn’t anyone think of this sooner? 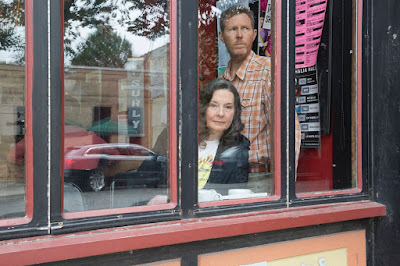 While a collaboration between Robbie Fulks and Linda Gail Lewis may now make perfect sense, it took a hell of a long time for someone to figure it out. And the timing couldn’t be more perfect – the world has been waiting for a new dynamic duo and they’ve finally arrived. Like a musical time capsule that reaches all the way back to the mid-‘50s, Robbie and Linda’s 2018 album WILD! WILD! WILD! is everything the title of the album suggests… and a whole lot more. From Country & Western to Rockabilly, this is an album created by and artist who was influenced by it (Fulks) and an artist that lived through it (Lewis). Chicago resident Robbie Fulks has become one of the industry’s most respected Americana artists, releasing more than a dozen albums and earning Grammy Award nominations along the way. Over 30 years after he tossed his hat into the ring, he remains an artist with a career built on integrity, honesty, and undeniable talent. Linda Gail Lewis is a bonafide legend who not only has Country and Rock ‘n’ Roll racing through her veins, she is also the sister of Jerry Lee Lewis, one of the founding fathers of Rock ‘n’ Roll itself. Like her brother, Linda Gail Lewis can move easily between the frenetic jive of Rock ‘n’ Roll and the heartbreaking cry of Country Music with ease. The music on WILD! WILD! WILD! takes the listener on an emotional roller coaster ride through the history of American music. This album is a journey filled with blood (“Till Death”), sweat (“Boogie Woogie Country Gal,” “Round Too Long,” “Wild Wild Wild”), and tears (“I Just Lived A Country Song,” “Hardluck, Louisiana,” “Foolmaker”). Like a trip down a dusty road at twilight or a drunken night in a beer-soaked saloon, this is an album that brushes aside the cobwebs and reconnects with a time that is largely forgotten WILD! WILD! WILD! is not a retro album, though. It is an album that celebrates the roots of American music by bringing something new and exciting to the table. At our time of need, Fulks and Lewis have arrived to save us all with this new batch of songs that will remind us all where it started.